Welcome Back to SentriLock Thursday! This is a weekly email “mini-series” proactively educating you on all the great features of SentriLock and it’s accompanying mobile app (Click here for iOS Store | Click here for Google Play Store), SentriSmart, as we lead up to the lockbox exchange on July 24th-28th. 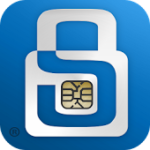 The SentriSmart App will be the required method for accessing the new lockboxes. SentriLock has just informed SCAOR that they’ll soon begin the scheduling process for July’s Lockbox Exchange. Stay tuned early next week for your office’s opportunity to schedule your exchange window during July’s lockbox exchange week. Thank you for your help, and we look forward to a successful and smooth exchange process in July! In preparation for the Lockbox Exchange the week of July 24, we will run a new and improved lockbox audit to make the exchange process smoother. The deadline for completing this audit will be July 1st. As with every lockbox audit, failure to complete the audit by the deadline could result in an invoice for the total number of boxes allotted to your office. select the serials you can locate within your inventory. After the audit is complete you will receive an email with the number of boxes that are in your inventory, the missing boxes, the allotted boxes based on market share, and the amount of boxes that should be returned to SCAOR within 14 days of filling out this form. To print out a list of lockboxes assigned to your office, simply log into sentrilock at http://lb.sentrilock.com and select reports. then select lockboxes to view the currently assigned boxes or download a csv file. To ease the exchange process, the cost for replacing a missing box has been lowered. A Generation 2 box (all silver) will cost $50 per replacement. The Generation 3 and 4 boxes (blue and white) will be $100. If there is any sort of discretion, we will be happy to work with you on a solution. Simply email us at support@scaor.com after filling out the audit. Copyright © 2017 Sussex County Association of REALTORS®, All rights reserved.